We provide Faith in Action trainings for congregations and communities. Ohio RCRC provides opportunities for groups and individuals to learn, discuss, and advocate for reproductive health, rights, and justice. In keeping with our values, we teach compassion and honor women as moral agents. We are also committed to helping people of faith, conscience, and goodwill connect their pro-choice values with activism. Without education, we know our action will lack impact. And without action, education will fall short of its promise. As such, we are proud to offer our Faith in Action Trainings for Reproductive Freedom to foster the moral power of congregations and communities. Each training below can be tailored to meet the scheduling needs, goals, and budget of your group. For more information, contact us today at info@ohiorcrc.org. How do I know if my congregation or community supports reproductive freedom? How can I change hearts and minds? To address these questions and more, this training will equip you with skills and knowledge about the tenets of intersectionality and reproductive justice to aid in your progress toward taking faith-rooted action. Through asset mapping, you’ll leave this training with next steps for your community to advance equality and justice. (Ideal for congregational staff, institutional and denominational leaders, social justice groups, and community conversations. We faithfully protect reproductive rights in Ohio. Raise your voice with us! 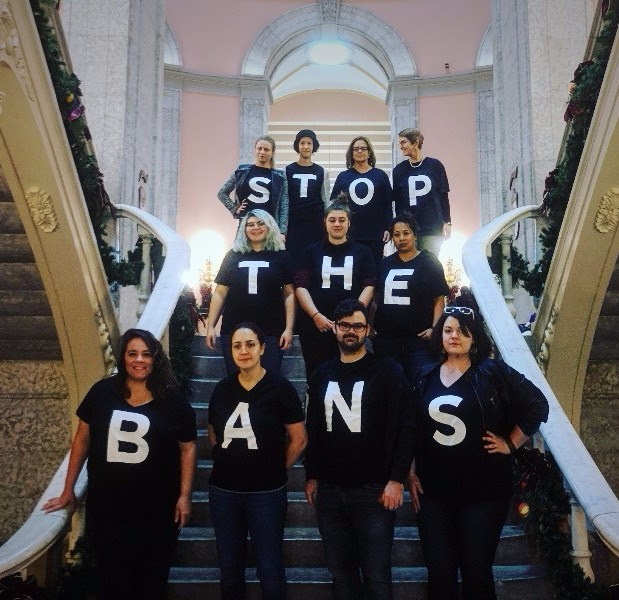 For materials and support for writing letters, meeting with your legislator, or sharing your testimony at the Statehouse, email us at info@ohiorcrc.org. We’re here to help! Sign up to receive Ohio RCRC's updates on reproductive rights related legislation happening at the Ohio Statehouse. We respect your privacy. We won't share your personal info with anyone outside of Ohio RCRC. We strive to educate our supporters about reproductive health issues and legislation through our outreach efforts and our e-newsletter. Sign up for our emails to stay informed on what legislation is pending, so you can be a faithful and effective advocate for choice as you engage with your legislators on these issues. Find your senator and representative on the Ohio State House website. We can help you register to vote and encourage others to do the same! At the My Ohio Vote website, you can register, check your registration, or change your address – all you need is a printer and a stamp. Make your voice heard! We offer compassionate support to those making reproductive decisions or experiencing loss. Ohio RCRC offers all-options counseling, also known as Compassionate Care for Reproductive Decision-Making & Loss. Our clergy counselors are trained to assist women in exploring all their reproductive options — abortion, parenting, adoption, foster care, etc. We also conduct trainings to help faith leaders support women and families in their congregations who are making difficult decisions about unintended pregnancies, recovering from a miscarriage, placing a child for adoption, or experiencing infertility. Our Philosophy: We support women as moral agents and their right to make reproductive decisions following one's own conscience and religious beliefs. Our counselors support a woman in reaching a decision in accordance with her own values and that is best suited to her unique circumstances. We will not burden you with more judgments, and we hold your privacy as sacred. To reach a trained Ohio RCRC clergy counselor, please send us a confidential message. Thank you for reaching out. We are here to help! A trained clergy counselor from Ohio RCRC will reply to you within 24 hours.